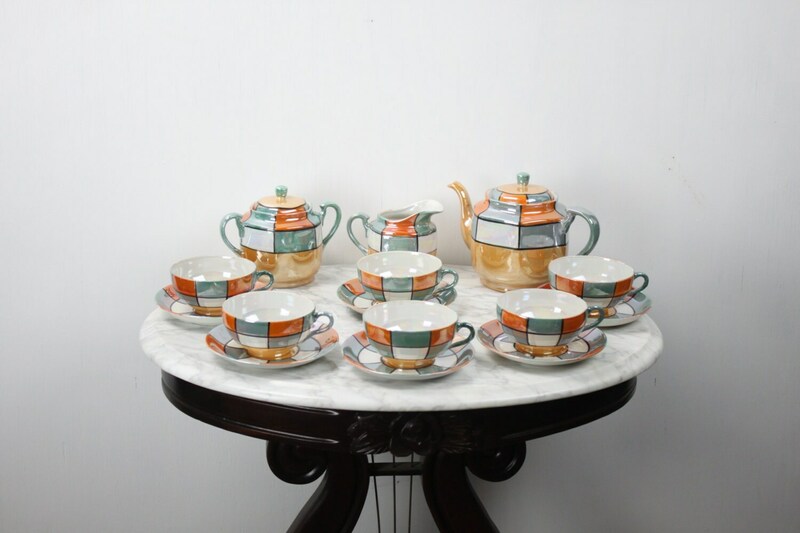 This amazing early 20th century Japanese made fine-bone china tea/coffee set features a colorful, geometric, lusterware design! 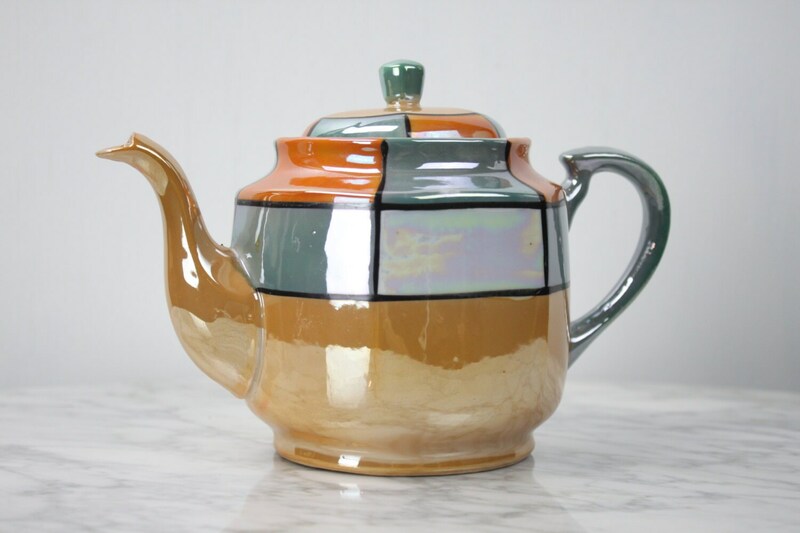 Exceedingly rare, treasured and in excellent condition: 15 Piece Set Tea/Coffee Pot with 6 Cups & 6 Saucers, Sugar cady & Creamer. This Pre World War II set most likely dates to the late 1930s and is simply amazing. 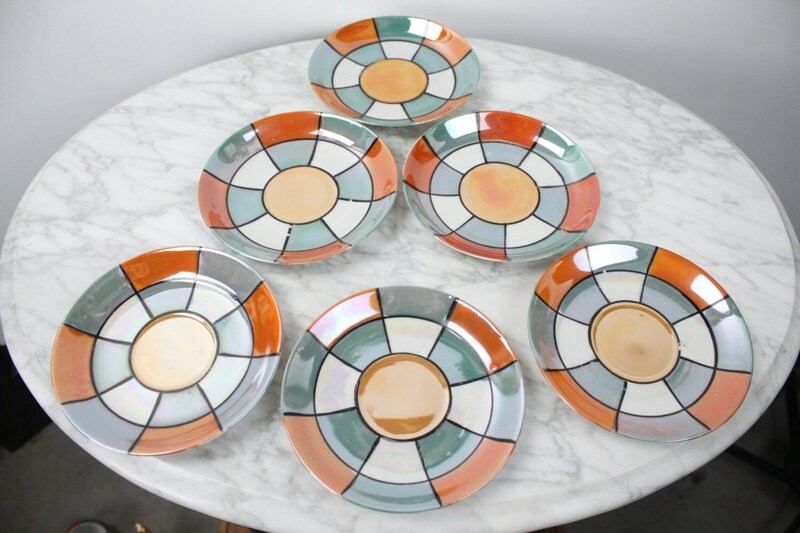 Each piece (with the exception of the cups) is marked on the underside with a rising sun logo and the words "made in Japan". A highly collectible and true heirloom in search of an appreciative new home! 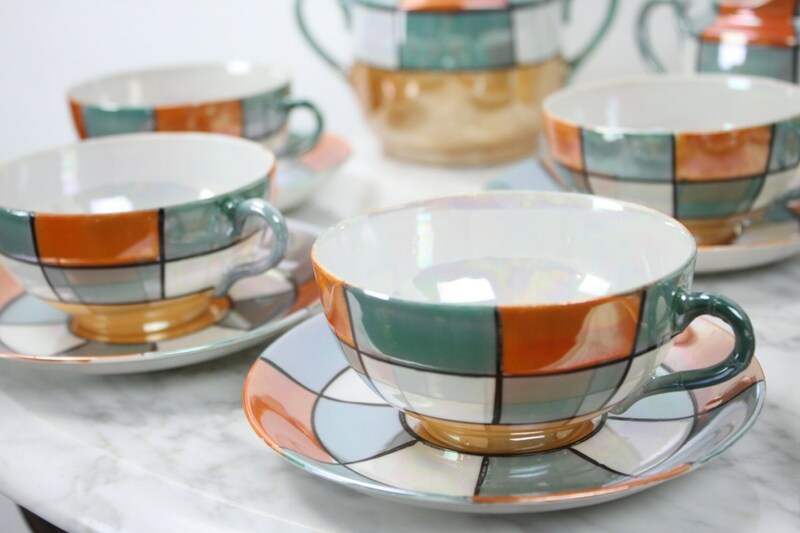 Whether you're a collector of fine china or just want to impress the hell out of your in-laws, this set offers all you could ask for and much, much more! 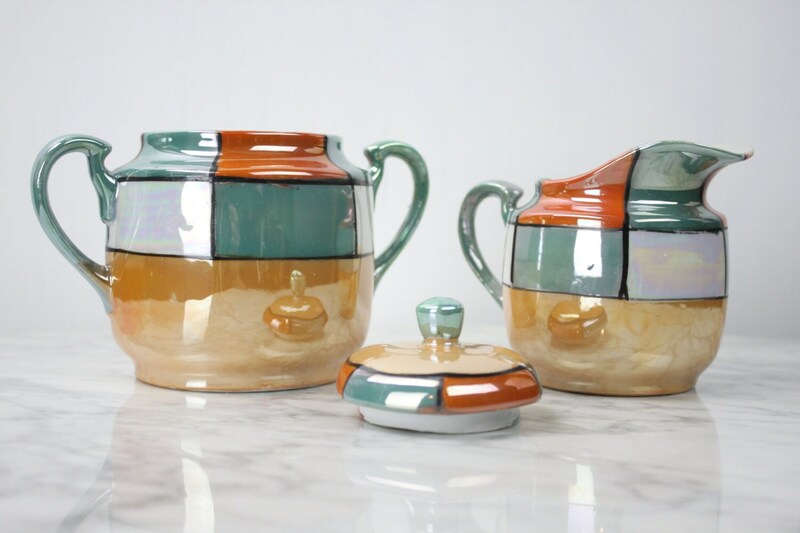 - Sugar bowl: 4" x 4" x 6"
- Creamer: 3.5" x 3.25" x 4.5"
- Cups: 2.25" x 3.75" x 4.5"
- Saucer: 1" x 5.25"
Please contact me with any questions of for additional pictures!